READ MORE about our capabilities in the latest Forrester report on Business Transformation Accelerators. For companies with serious aspirations for rethinking their business, NEORIS is an innovator that helps them define, design and execute agile transformation programs with ethics, empathy, creativity, passion and commitment. We combine diverse teams with deep industry insights, amazing design skills and vast technical expertise, to deliver innovative solutions. By leveraging innovation in technologies such as AI and Machine Learning, Big Data, process automation and others, we help businesses to dramatically rethink their positioning. But we don’t stop there; we help businesses to find new ways to monetize their value and transform their services and culture into platforms that create disruption within their own sectors and across industries. As a leading-edge innovator, we’re constantly asked why companies partner with us. The question is especially prevalent when it comes to businesses that are passionate about delivering hyper personalized customer value. 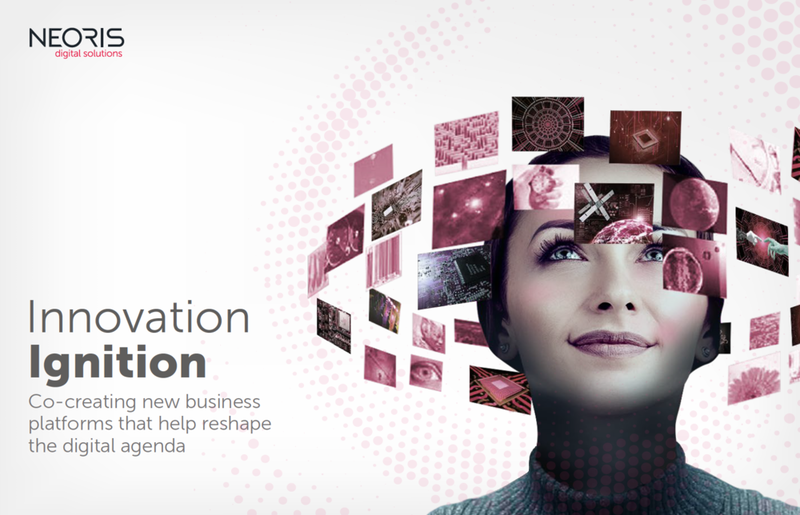 Technology enables companies to redefine their purpose in ways never before envisioned. With this in mind, our clients find that our deep industry and technology insights combined with our commitment to co-create value makes us a unique partner. Our clients also see our global network of innovation labs as the perfect setting to test their disruptive ideas and rapidly prepare MVPs to bring their ideas to market in the shortest time possible. More than a place where you go to work, NEORIS provides the opportunity to learn, co-create and experience the latest and greatest around disruptive business models and technology innovation. Our primary goal is to partner with clients and leverage innovation to drive breakthrough thinking in how they create value for their customers and industry. Achieving this level of breakthrough thinking requires a different way of collaborating and radical openness. We encourage everyone who works with us to be both assertive and open-minded in order to extend their understanding about the art of the possible and discover the best path to exceed our clients’ expectations and help them rethink their value proposition. The types of disagreements and mistakes that are typically discouraged elsewhere are expected at NEORIS because they fuel the learning that helps us maximize the value we bring to our clients. It is through this unique culture that we produce meaningful work and create lifetime relationships.